I had the fun opportunity to meet with author Rebecca H. Jamison for Utah Book Month at a quaint little french cafe where she had pizza and I ordered french onion soup plus a ginormous sugar cookie with sprinkles. 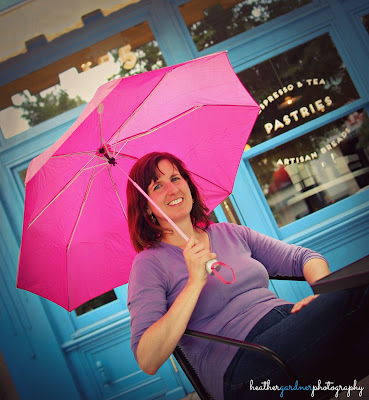 Rebecca blew in wearing purple chucks ( I love when authors have spunky shoes) and was willing to brave a freak downtown wind & rain storm with a pink umbrella to do a photo shoot and quick fire interview with Fire and Ice. What is the most rewarding or fun part about this whole process? It’s fun to write, which is a great escape. It’s also fun to meet my readers. Believe it or not, I actually like doing signings. Do you have any signings coming up? Yes! Next Wednesday the 14th at the Sandy Costco and then Friday from 12-3 at the Costco in West Valley. Do you have a critique group? Not one that meets together. I critique online and have a lot of people beta read my books. What advice or books have helped you become a writer? Read a lot of fiction. Read good books. The ones that helped me include : Writers Digest Magazine, James Scott Bell’s books and The Save the Cat book. Is your next title in the works? Yes! I am halfway done with Sense and Sensibility and have the next book all planned out. I’m halfway through the second draft. What places would you go to for researching your books? I would have to visit San Jose, Maryland and New York City since those are the places the next book is set but I’ve always wanted to go to Italy or England. I’d like to write at a remote place like the beach, but then it might be hard to write if I was at a place I REALLY liked. Are there any important things you want readers to take away from Emma? Emma addresses insecurities in women, our perfectionism, and tendency not to think positively of ourselves. 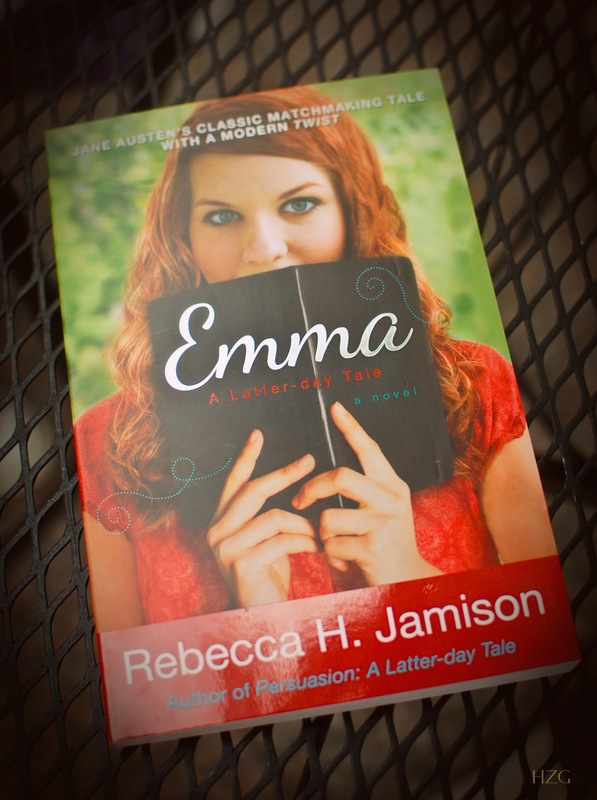 If you were going to put together the ultimate prize package for your book Emma: A Latter- Day Tale what would it include? Dove Dark Chocolate, stuff to make s’mores: chocolate marshmallows, chocolate graham crackers and Hershey’s bars, ski pass tickets and note cards. Looking for love? 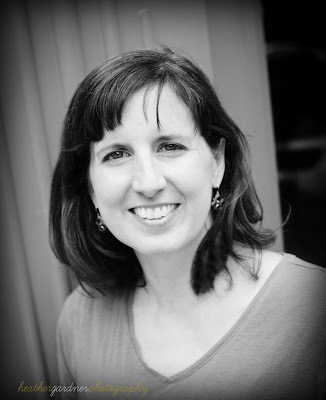 Rebecca H. Jamison would love to set you up with that special someone, but you’re better off reading her books. She has a terrible track record as a matchmaker. Rebecca grew up in Virginia. She attended Brigham Young University, where she earned a BA and MA in English with an emphasis in creative writing. In between college and graduate school, she served a mission to Portugal and Cape Verde. Rebecca enjoys running, dancing, reading, and watching detective shows. She and her husband have six children. You can learn more about her on her website. Thanks so much for letting me capture you awesome personality in words and photos Rebecca! Check out our review of her fist book, Persuasion and enter to win a copy of Emma: A Latter- Day Tale on our previous blog tour post. Be sure to follow Utah Book Month in August for more local author and blogger features. Thanks again, Heather. I love the pictures! You are very welcome! It was so fun to get together and chat/eat! I think it’s amazing that Rebecca met up with you! What a great opportunity.. and something most authors wouldn’t take the time to do. You’ve done it again with the pictures. Amazing. So fun that you actually went to lunch together. I need to be brave like that! Hopefully I can get my hands on these books sometime soon! I love that you got to interview her in person at a cafe 🙂 I’m doing that next time! Rebecca, that’s so cool how much you love meeting readers. I love Jane Austen retellings. I’m excited to pick up your books! Really great interview and adorable photo of Rebecca!